OxyContin is marked with an "OC" and the miligrams of the pill. Lined up is a picture of the differant milligrams of OxyContin. Each size has a differant color. 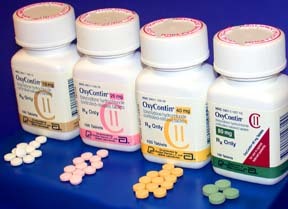 Here is a guide of the color, sizes, and milligrams for OxyContin.